Absolute Auction! Sells to the highest bidder regardless of price - Wednesday, May 1st - Online Auction. 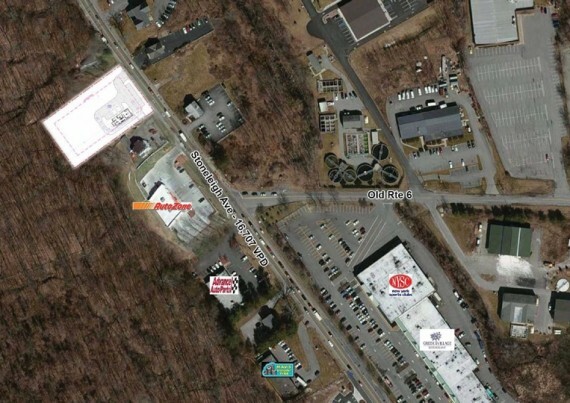 The property is a 1.17± acre development site located along Route 6 adjacent from Putnam Plaza Shopping Center in Carmel, NY. Great visibility and access to all major roads. Includes environmental, engineering, site investigation, traffic impact study, ALTA survey and much more! Buyers Premium: 10% based on the high bid. Deposit Amount: See Terms and Conditions. Broker Co-op: 2% of the high bid will be paid to a properly registered broker at settlement. Copyrights © 2016 All Rights Reserved by Auction Advisors.